Someone decided it needed to be Monday again. While I’m not all that thrilled with the decision, I do know that it’s going to be a short week. So that’s gonna be good. Thursday is Thanksgiving here in the US, and so I’ll be off Thursday and Friday, just chillin’ and trying to avoid all the fracas at the Maul. In the meantime, though, let’s get your gaming tables lookin’ as good as my dining room table will be this Thursday. 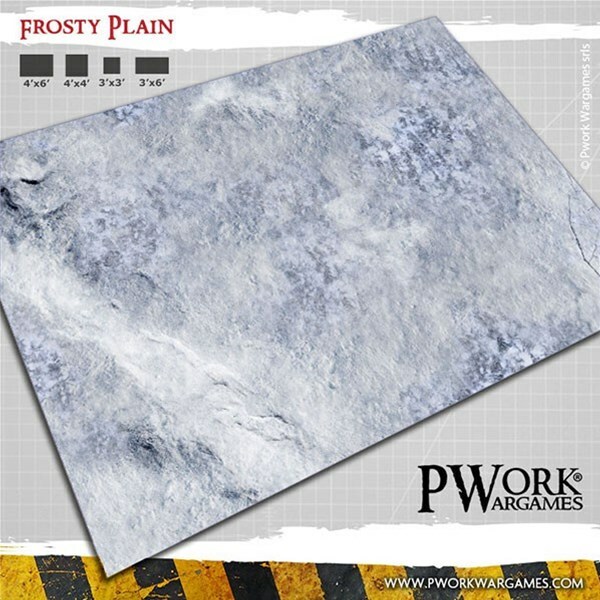 Today in the Terrain Corner we have: Frosty Plain Gaming Mat Available From Pwork Wargame, TerrainCrate Town & Battlefield available to order now, and Hive City Habitat Available From Tabletop Scenics. Frosty Plain! Fantasy Gaming Mat from Pwork Wargames! Play your battles an icy plain, whose snow-covered ground with sharp-edged rocks is inhospitable to anyone who wants to cross It, on a bare and impervious landscape, where the environmental conditions of iciness can be more dangerous than any enemy! 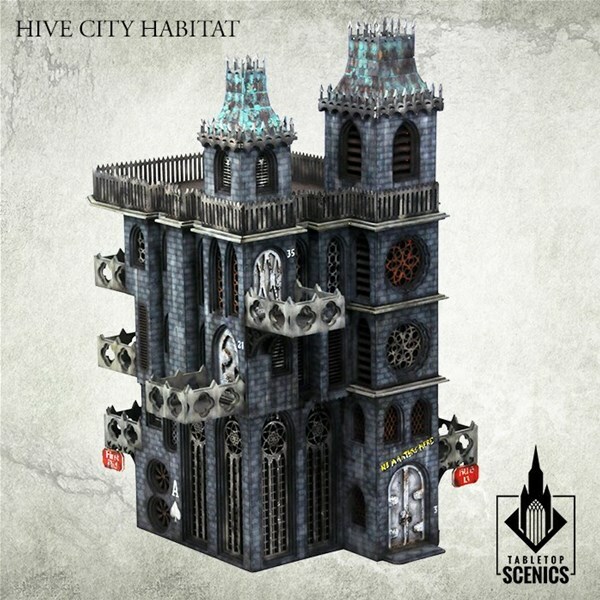 Contents of this frames may be used to make one Hive City Habitat structure. This structure can be stacked on top of each other once towers are removed.